As a busy family of four we rely pretty heavily on our family car. Despite attempting to walk to school wherever possible, the reality is that being a busy working Mum with a nursery, school run and work commute to do each day, we use our cars a lot. When I accidentally drove into the back of a Range Rover a few years back (not recommended!) it made me appreciate just how difficult it is to be a busy Mum of two without a car to get around. Keeping our car in top condition and ensuring it stays roadworthy therefore, particularly now winter is well and truly on its way (brrrrr) is pretty high up on my to do list. Thankfully I have now found a garage that I completely trust, having been a loyal customer of Motorserv UK in Shirley since 2014. With over 150 customers in the Solihull area visiting Motorserv UK on a weekly basis, it appears I am not alone! Motorserv UK is a one stop shop for all your car needs in Solihull. 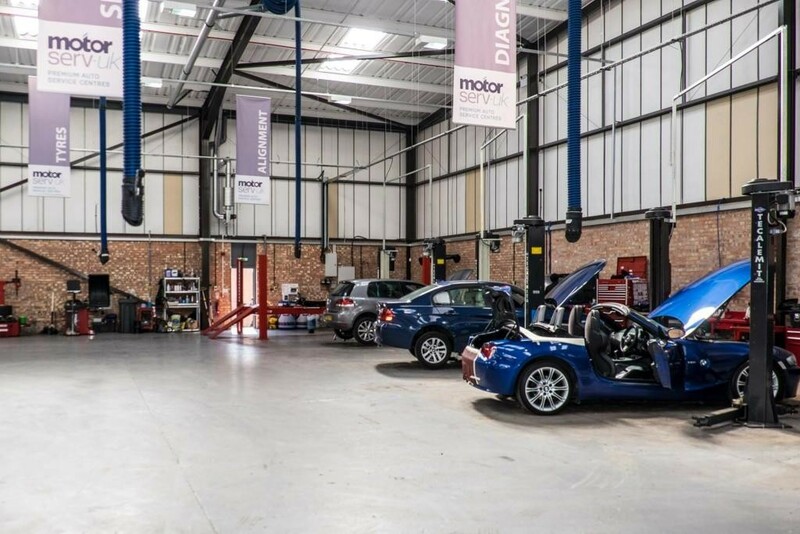 The Winner of Automechanika’s UK Garage of the Year 2017, and Cat Magaazine’s UK Large Garage of the Year 2018, Motorserv UK boasts one of the largest independent workshop in Birmingham and is home to the £15 MOT. Known for their excellent customer service, Motorserv UK have front facing service consultants who unlike many garages I’ve experienced in the past, can take the technical details from their team and translate it into layman’s terms, clearly outlining what has been done, what may need to be done, and whether it is essential or advisory; presenting you with the facts about your car with no obligation what so ever. That’s not to say you can’t speak directly to the 14 man tech team if you want to, but for many people like me, I don’t need or understand the detail – I just need to know what to do to get my car back on the road. This non intimidating and friendly approach has been much appreciated in my experiences to date. Motorserv UK is the only place in the country to offer a £15 No Pass No Fee MOT Service. Whilst many may fear that this bargain price will result with lots of repair work being required – this isn’t the case. My last two MOT’s at Motorserv UK passed without any work required at all, and even when work is recommended, you are not obliged to have it done there and are free to shop around if you so wish. With Motorserv UK boasting a main dealers service at an independent’s price, in my experience their prices are competitive and fair. Motorserv UK is also ideal for busy working families, with various different options available when booking in for your annual service. If you can manage without your car for the day, Motorserv UK can offer a FREE pick up and drop off service within 5 miles of their Shirley depot, meaning you don’t have to worry about nagging friends or family to help you out. 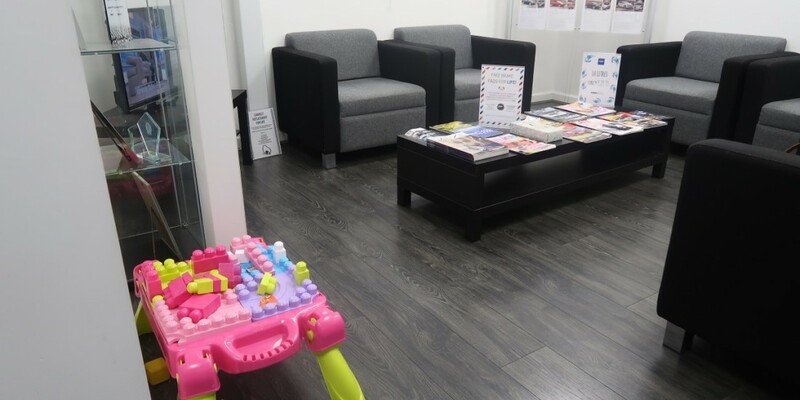 If you need a car for the day instead, Motorserv UK also have a number of courtesy cars available, both manual and automatic; all of which are 5 door family saloons with isofix ports for your car seats, ensuring that they will be perfectly suitable for all your families needs. If you prefer to wait whilst you vehicle is seen, Motorserv UK is also very well set up for you to do so. Their quiet and comfortable waiting room overlooks their main service area, meaning you (and any mini car enthusiasts!) can watch the team whilst they wait. Should you wish to do so you can even ask to watch via CCTV whilst your MOT is being done. With comfy sofas and lots of toys to keep your kids entertained if you have them in tow, you can even help yourself to a hot drink and a chocolate bar(!) from their fridge whilst watching TV. There is also a baby changing unit in the toilets and a bottle warmer on hand should you need it. With most services being completed within the hour, there is enough to keep little ones busy until the moment you are handed back your keys. For those who are happy to do the drop off themselves, Motorserv UK are also really flexible with their opening hours. 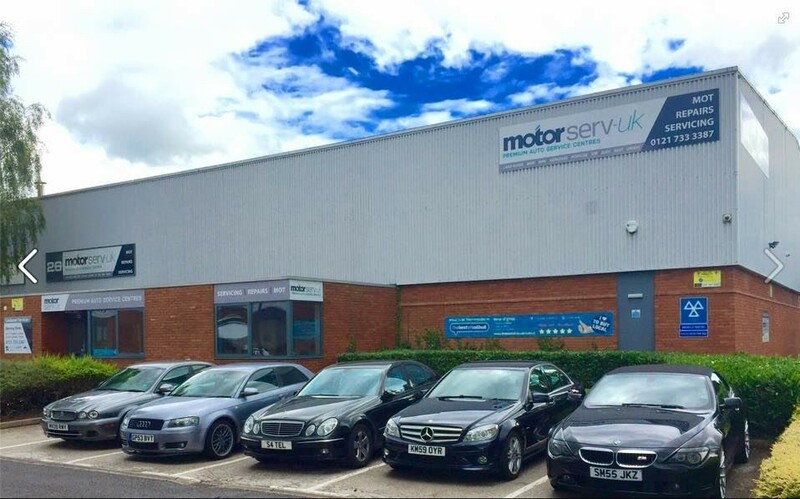 Open from 8am in the morning and with the ability to accommodate later pick ups outside of normal office hours – Motorserv UK is a refreshing change from many of the other garages in Solihull that close at 5.30pm on the dot, not very practical for those who work! If you call Motorserv in advance, they can often accommodate a later collection. You can also drop your car the night before and place the keys in drop letterbox should this be more suitable for your personal circumstances. One of the things I hate most about running a family car is that all the car related costs seem to come along at once. It can be expensive when service time comes around, and as much as I say I am going to plan in advance I never do. Before I know it, October comes around and my service is due, and you can pretty much guarantee it’s that part of the year when I am feeling particularly broke – especially as my car insurance comes out around the same time. 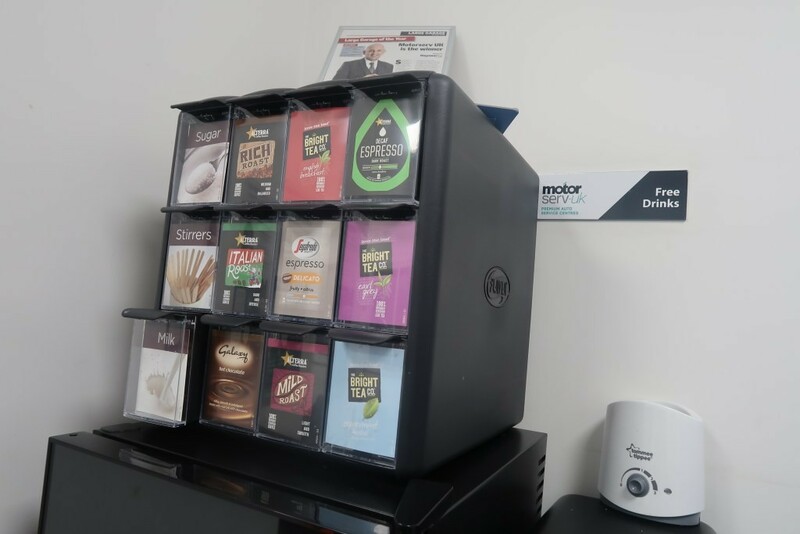 Motorserv UK recently launched their Pre Pay Gold Plan, enabling customers to pay for their next service in advance, paying a small amount each monthly and spreading the cost out throughout the year. Not only is this great to help your families’ budgeting, but by signing up for the Pre Pay Plan, Motorserv UK customers also get up to £400 of free additional services included in the price, including wheel alignment, MOT, Air conditioning services and tyre balancing – all for FREE – almost like a mini gym membership for your car. These additional services are ideal for peace of mind for things like pre holiday checks, and asking the team to give your car the quick once over prior to a long travel journey. With over 1100 members in Solihull signed up to the Pre Pay Plan aready, they have to be doing something right, and this is something I am going to set up when I go in for my service next month. It’s a no brainer really – all I will be doing is paying for my next service as today’s prices, and yet I get all those extras thrown in for free! If you prefer to pay as you go, but are put off by a potentially large bill looming on the car you drive, MotorServ UK are also on the verge of launching a 0% payment deal, which will allow customers to spread the cost of any works, completely interest FREE for up to 12 months.. As someone who sometimes struggles with unexpected bills, I think this is really a good idea, and will help a lot of people minimise repeat trips and inconvenience, allowing you to get your car safe and all sorted on your first visit but not have to worry about finding a lump sump all upfront. Finally, and perhaps a little less well known, is that Motorserv UK also offer valuation and sales services, which is something definitely worth bearing in mind if you’re looking to sell your car any time soon. Motorserv UK will mostly beat any online trade purchasing website price, and if you chose to sell with Motorserv instead, they will manage the viewings and negotiations, and are fully insured for cash handling. With the number of car jackings I’ve heard about of late in Solihull, knowing that there will be no unscrupulous buyers knocking on your door or attempting to palm you off with fake bank notes is something that is great for peace of mind. If you are looking for a car garage in Solihull that offers a high quality, approachable and family friendly service at competitive prices, I couldn’t recommend Motorserv UK enough. You can learn more about Motorserv UK, their Pre Pay Service Packages and their £15 MOT on the Motoserv UK website here.